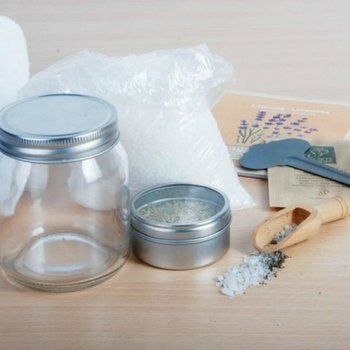 This lavender bath salt set has everything you need to make a soothing, stress relieving lavender bath. This set includes a glass jar, a 500g bag of bath salts, a 9g box of dried lavender and a wooden spoon. There is also a packet of seeds to grow your own lavender and a book with tips on how to enjoy your lavender bath. The whole set comes gift boxed and would make a brilliant present.